Josh Duggar of the TLC program 19 Kids and Counting and his mini-klan has put out an extra special FRC backed family’ Thanksgiving wishes video where he and his brood Thank God for the Hobby Lobby ruling and the God fearing-gay hating GOP. 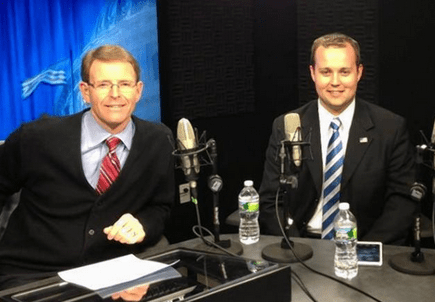 Duggar proudly works for the Family Research Council a Southern Poverty Law Center-certified hate group that specializes in spreading anti-gay propaganda about LGBT people and trying to keep them from having the same rights as other Americans. As Duggar dresses his kids for the cold and takes them on a drive, he discusses the Supreme Court’s Hobby Lobby ruling, what a “blessing” it is that states are passing fetal personhood rules and how he and the family are “so grateful” that the Republicans won big in the midterm elections of 2014. “The efforts of American families are making a difference,” he insists. “Come on, let’s go, guys!” he says to his brood as they set off walking towards the Capitol, a not-so-subtle message, according to some, that Duggar has political aspirations. The Duggars — America’s newest HATE GROUP backed by the FRC and TLC.